Well it finally feels like Florida! They were saying that there would not be a window to cross the gulfstream for about 5 weeks but here it is week one and we had a great window to cross yesterday and today. It was calm and beautiful and no North in the wind…perfect! Vero Beach. 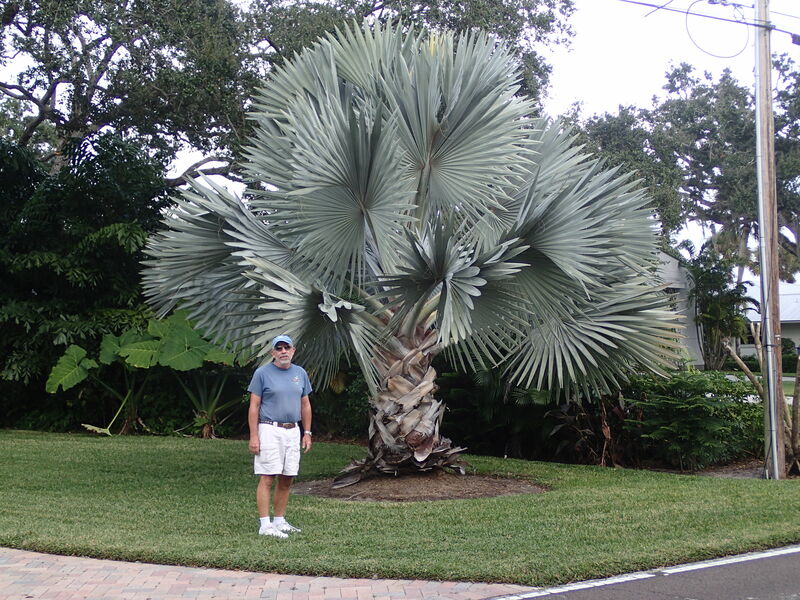 Tom with very large palm tree. Got caught! We were lounging at the bow of the boat while Bert was busy installing our masthead light. Oops! Didn’t know he was documenting this! 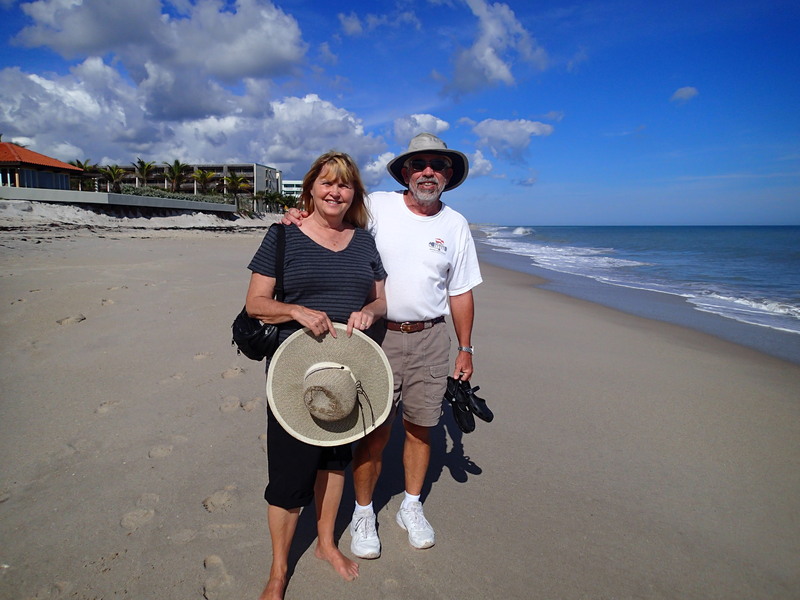 Unfortunately, we are still in Vero Beach (Velcro Beach because after you get here it’s difficult to leave). 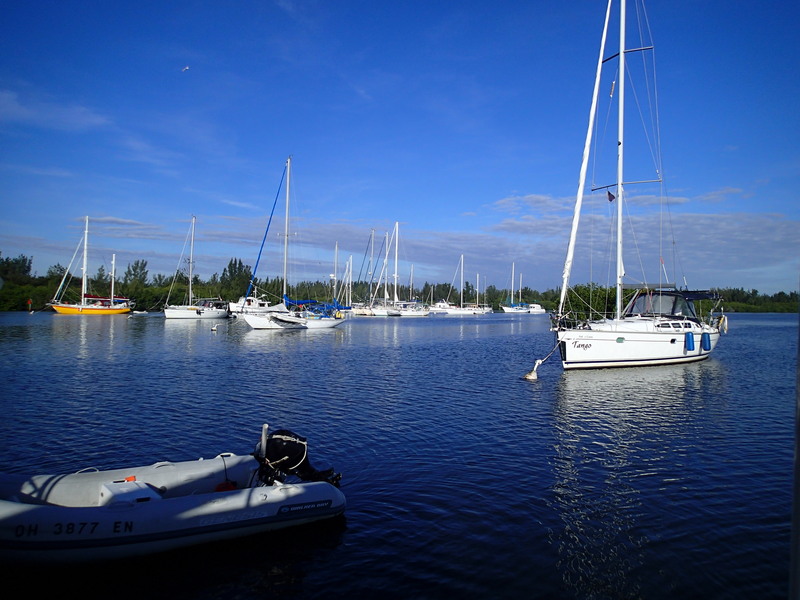 Vero is very nice and if you have to be out of commission with your boat this is a great place to be. The bad side is that you are out of commission and that feels worse than it really is. We got here with a problem that was diagnosed as a fuel injector issue on one of the newly installed injectors. Luckily for us we were able to get it fixed over the weekend. Tom installed a new water pump. 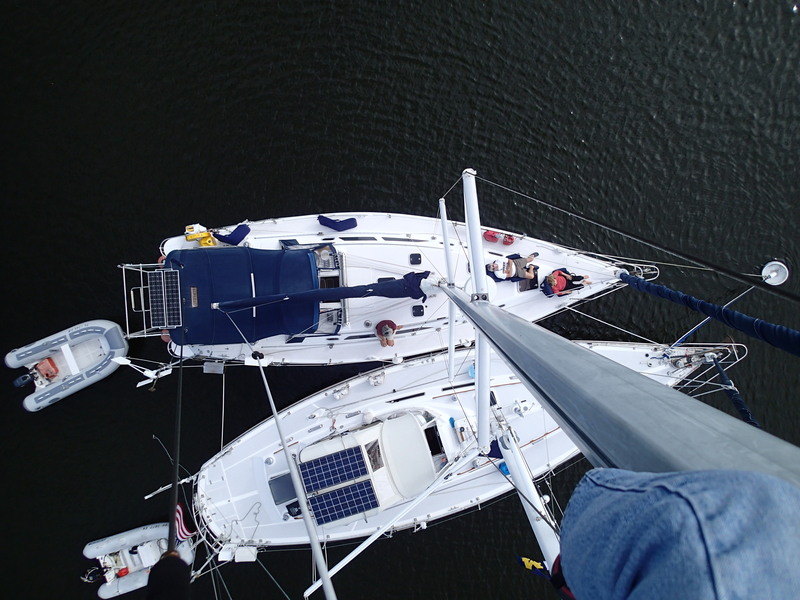 Yesterday we had Bert from Exuberant install a new mast/anchor light. We were supposed to get in a new windlass yesterday but found out at the end of the day it was shipped to our home address instead of here in Vero…Grrrr! Luckily we had a friend who picked it up and resent it today to us. Thanks Brenda! Beautiful day today. Having fun with friends and boat repairs! 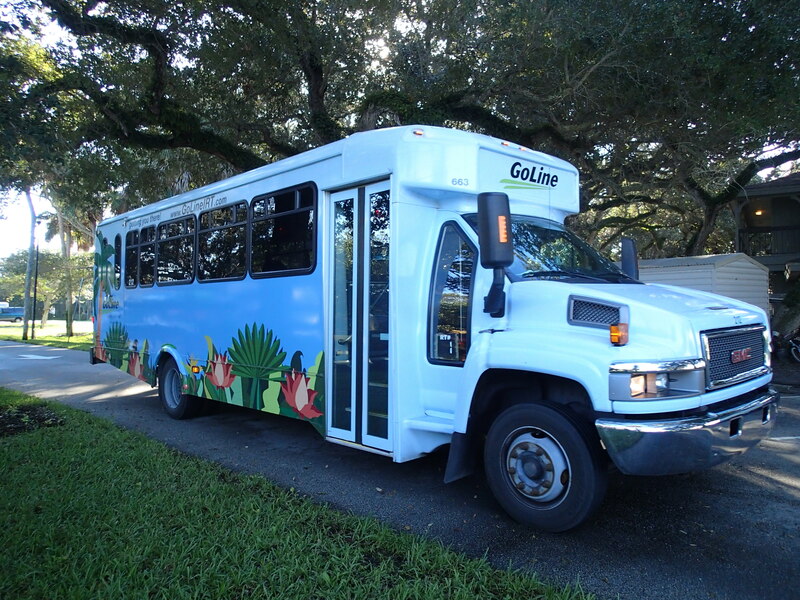 We have a free bus that takes to you to the beach and everywhere in Vero. It’s great! We got news that our spec house is under contract! Yay! Settlement should be January 6 or so. One big worry off the table! Beautiful morning for a walk on the beach!